“I never lose. I either win or learn.” Nelson Mandela. This is one of my favourite quotes and is so true, in life and writing. I can look back over my publishing career and see how things that felt like a failure at the time, actually taught me a lot and contributed to success in the end. 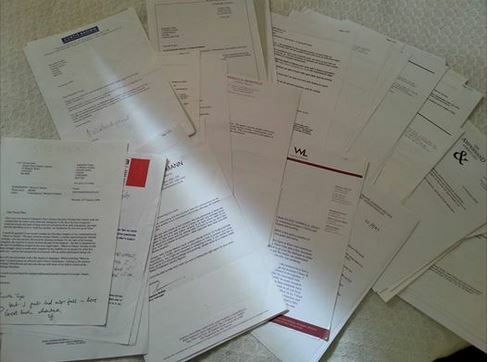 Rejection Letters – below are the rejection letters I collected, from literary agents, during the eight years it took me to get my publishing deal in 2013. Each one felt like a failure, when I opened that envelope, but once the dust had settled I was able to glean something constructive. When I first started to send out those manuscripts, a common theme of the rejections was that my main characters weren’t likeable enough. This was something I really had to work on – how to convey a protagonist’s inner angst without them coming across as a whinger. Also “derivative” came up – I wasn’t producing anything that stood out. With my first novel, in 2005, hands up, I had a sense of entitlement. I thought what an amazing feat, I deserved to be published because I have actually put together 90,000 words! However, these rejection letters taught me that putting pen to paper and sticking at it, then writing The End, just wasn’t enough. 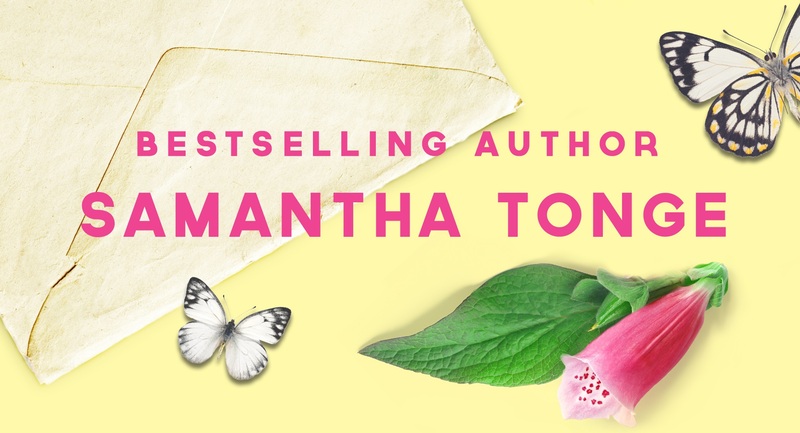 I needed to push, push, myself to create a page-turning read, with relatable characters – and prose that had been thought about, not just in terms of every paragraph or sentence, but every single syllable. My apprenticeship took a long time – a long time LEARNING, NOT FAILING, that’s how I see it now. Indeed, my first ever submission, all those years ago, was to the Darley Anderson Agency. A decade later they signed me. My continued *learning* had paid off. 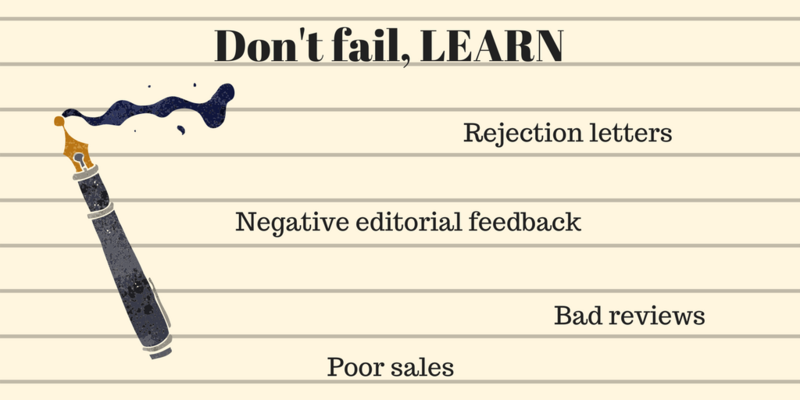 Negative editorial Feedback – this could feel like a failure as well. Especially as to start with, I kept receiving the same criticism – namely, that I wasn’t showing enough emotion in my writing. I’m not sure why – I’m a very emotional person in real life. So this is something else I have toiled over and, touch wood, over time, it seems to have paid off. I’m currently thrilled with the reviews coming in for my latest novel, The New Beginnings Coffee Club. A story about second chances and being true to yourself, I really acted upon my editor’s comments – from the past and present – about how the emotion could be ramped up. Over time I’ve come to realise that negative editorial feedback doesn’t mean I’ve failed. It simply demonstrates that an editor believes in my work – and me – enough to take the time to point out areas that need working on to make my books the very best they can be. Bad Reviews. Yes, with my debut book they stung! But as time passed, I realised that constructive ones -without an insulting tone – were actually useful. Take my first book – Doubting Abbey – it was a Christmas bestseller and overall enjoyed great reviews. But, of course, it received its fair share of bad ones and I noticed a common theme crop up. The main character – a pizza waitress who had to pass herself off as an aristocrat – often said the word “mega”. Negative reviewers hated this! One even counted the number of times she said it – over one hundred! So that taught me that whilst people have speech tics in real life, they should be used very economically in writing because they jump off the page. So I never ignore negative feedback from readers. It can be a real eye-opener and stops me getting complacent. Poor sales. In spring 2016 my publisher released one of my favourite own stories, How to get Hitched in Ten Days and for some reason, it just didn’t sell as well as my other books. The reviews were great and everyone loved the main character, gorgeous Mikey, every girl’s best friend and the owner of a scrumptious Fifties Diner. However it was a novella. A long one at 40,000, but nevertheless a shorter story and for some reason it failed to achieve the success of my other releases. No doubt there were a number of reasons why this book didn’t hit the spot, but at the time – and this is still true – many publishers were releasing full-length novel ebooks at 99p. So my 99p novella was having to compete with those and economically, for some readers, my 40,000 story wouldn’t have seemed so appealing. Also, I’ve kept an eye on Amazon since and, on the whole, novellas don’t seem to sell so well – the occasional hit and Christmas novellas being the exception to this rule. So this experience taught me that it isn’t worth my while – financially anyway – to invest love and time into one. Yet I certainly don’t see this experience as a failure. I put my heart and soul into that story. Readers enjoyed it. And who knows, maybe one day Mikey will appear in another story. This entry was tagged amwriting, author, coffee, Darley Anderson, failure, Nelson Mandela, publishing, rejection, success, winning.